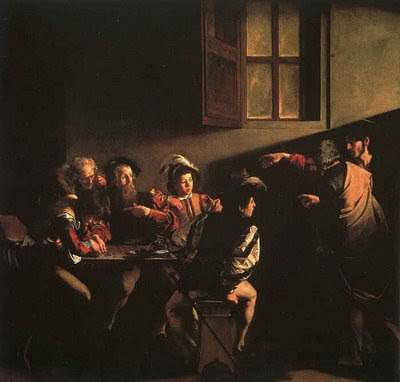 St. Matthew gives us a wonderful witness of listening AND responding to Christ. And he did it with JOY. The very next verse tells us that Jesus went to a feast at Matthew's house with many other tax collectors and sinners. Today let us hear and answer God's call in our life. Maybe it is the simple request of a child, maybe it is call to visit the sick, maybe it is a call to prayer time and maybe God is calling us to something bigger. As with Matthew, Christ will call us in the midst of our ordinary every day occupation. So let's listen up today, and respond.